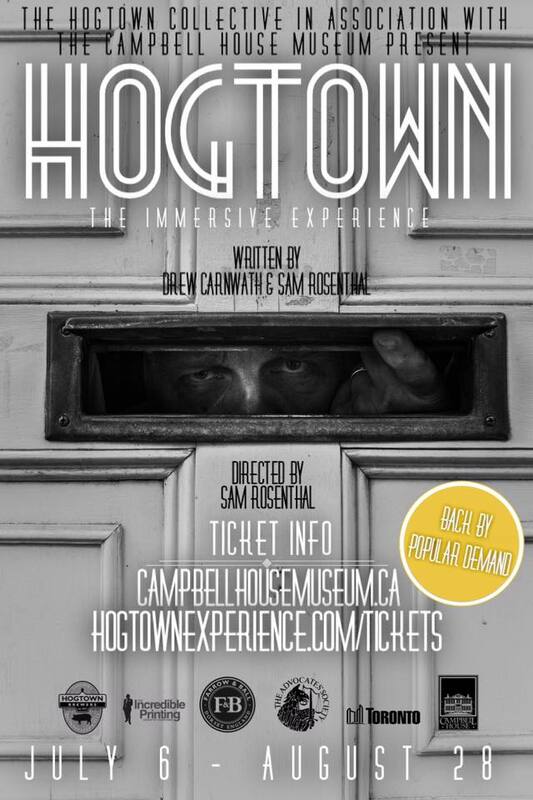 I’m very excited for Hogtown to return to Toronto! The creative team has been rewritting the script and rehearsals are due to start very soon. There are a lot of great new changes coming. I am a swing for the show, covering the roles of Mary O’Grady, June-Mable (Temperance women) and Marilyn Foster (the mayor’s wife). Tara Baxendale is also back for more Temperance lady action as Mary O’Grady. Come see how the show has changed! Or if you haven’t seen the show yet, come see what all the fuss is about. Contact The Campbell House at 416-597-0227 x2 to book your group! The door opens 1/2 hour before the performance begins. Please note: This is an ambulatory production which takes place on many levels of a historic building. Audience members will be required to climb stairs. There are paid parking lots nearby: under City Hall; under the Four Seasons Centre for Performing Arts; and just north on St. Patrick Street.